We know how much you love pink! 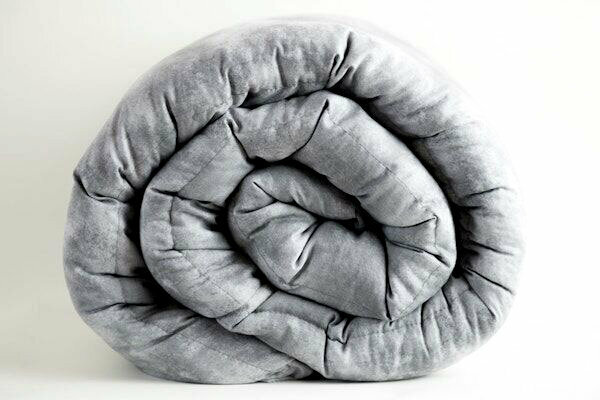 WE do too and we’ve created our Think Pink weighted blanket just for you. 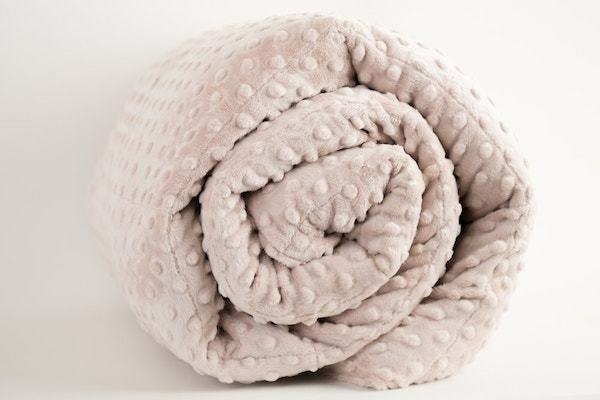 This blanket comes paired with a lovely pink solid cotton on the back. 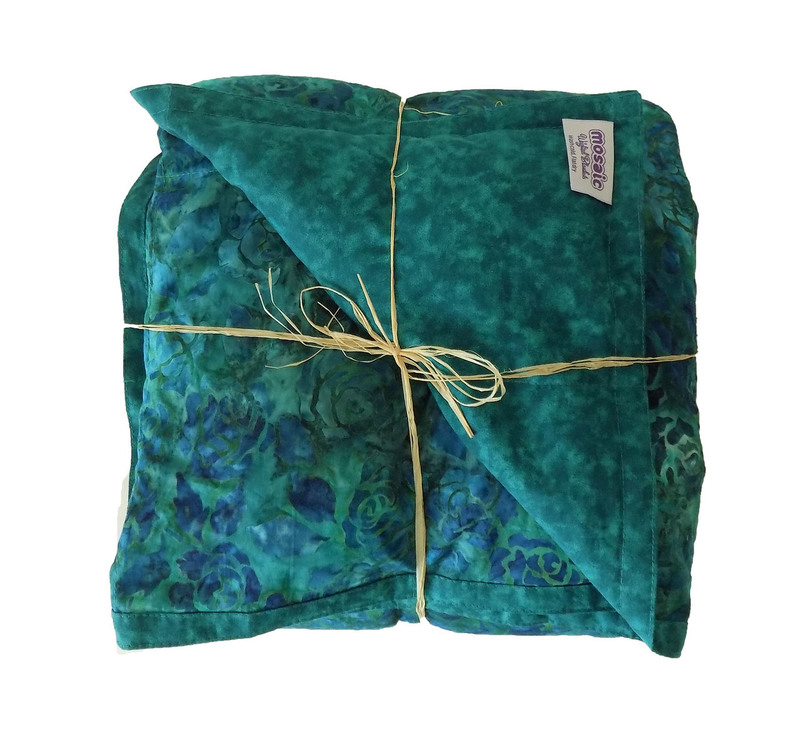 Whimsical, beautiful, and oh so fabulous, all of our batik weighted blankets are hand dyed, making each fabric one of a kind. 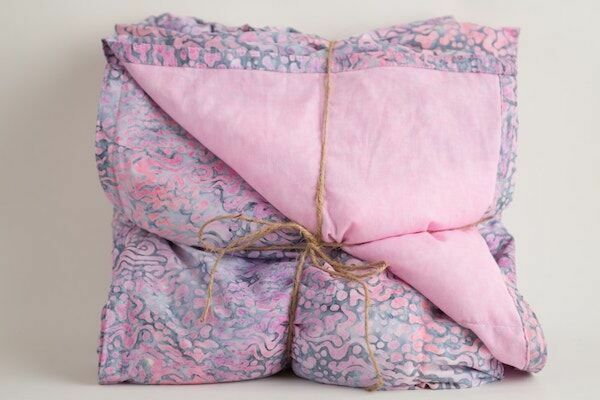 If you love pink, celebrate with this lovely, unique weighted blanket. 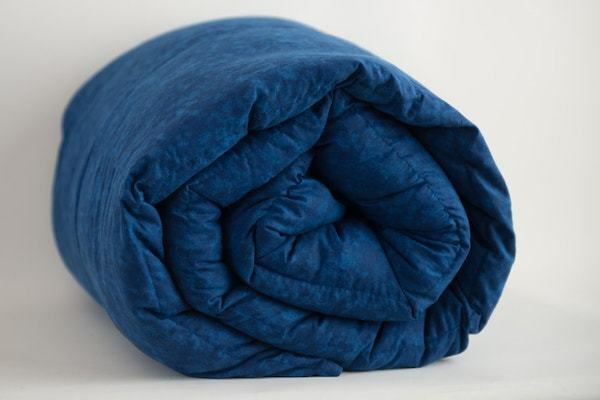 A therapeutic weighted blanket that helps to relieve Anxiety, Insomnia, and Stress, and can also help with medical conditions, such as RLS, Menopause, SPD, ASD, ADD/ADHD, and PTSD. 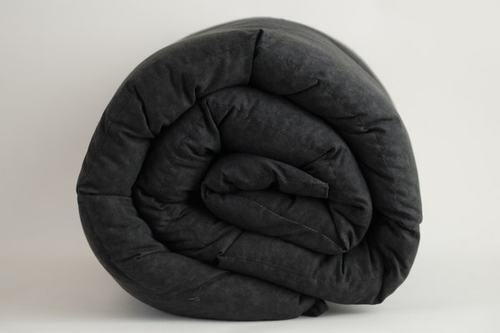 Each custom weighted blanket we ship is expertly crafted in the USA. 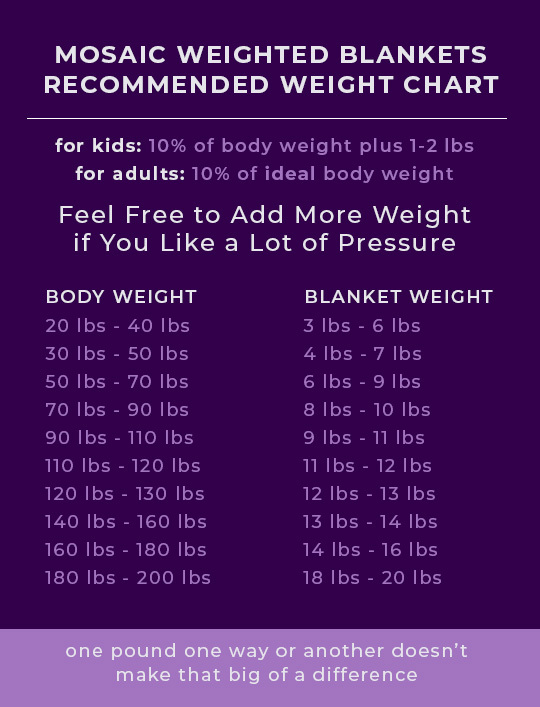 Our blankets are meant to be 10% of your ideal body weight. 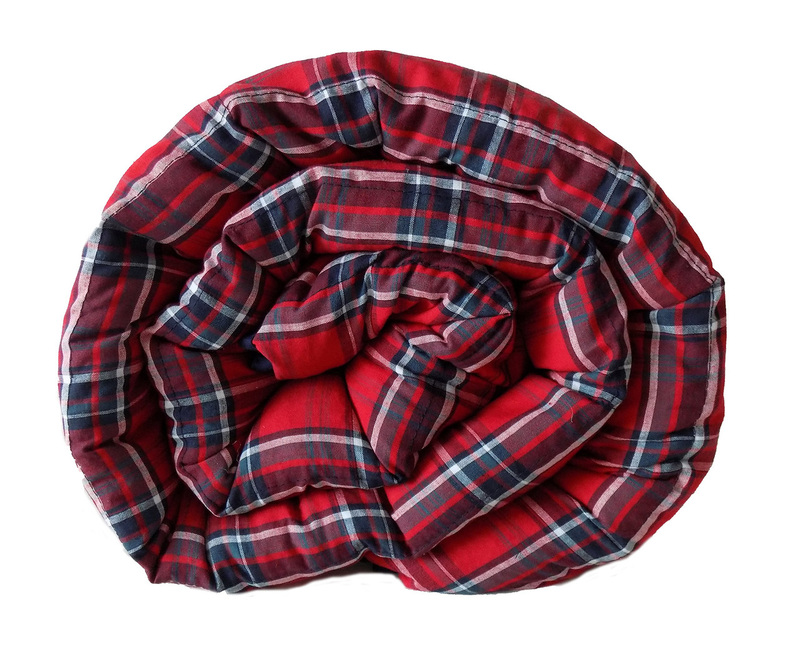 Please refer to our blanket weight & sizing chart under the Product Specifications tab. 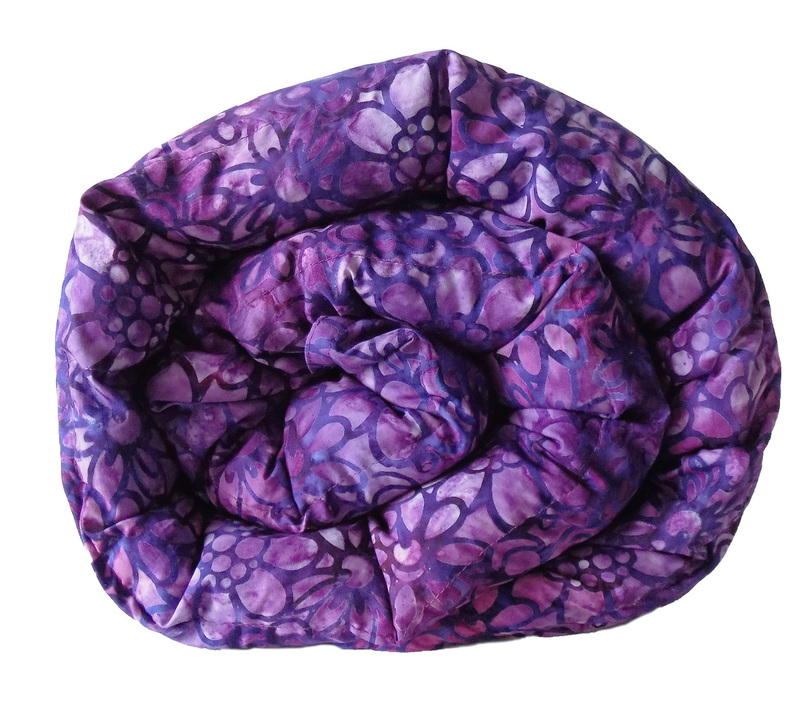 Beautiful, colorful patterns that are comfortable year round. 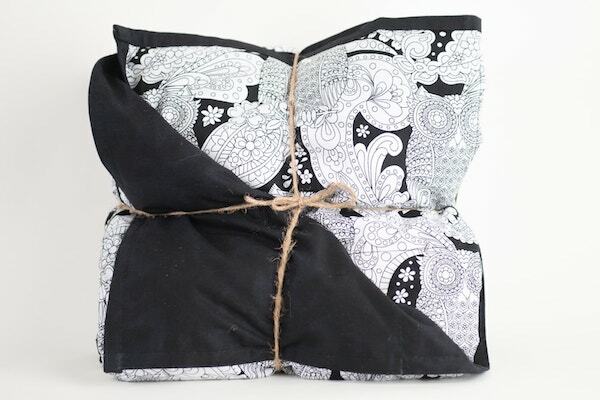 Our weighted blankets are created with 100% breathable cotton fabric, so you don't get too hot. 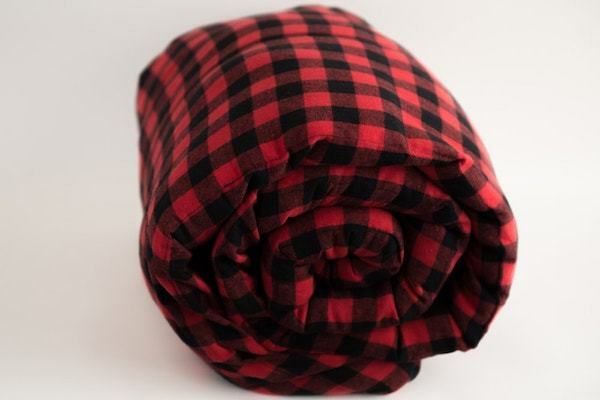 Our blankets are designed in quilted squares, with evenly distributed weight throughout each square. This helps create a grounded feeling and a sense of security. We believe in a better environment & better health for our customers. 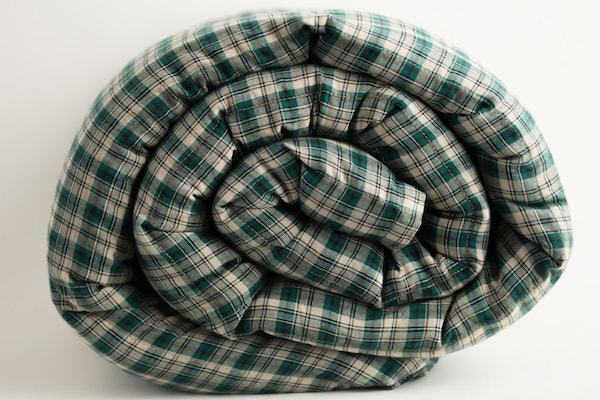 The poly pellets we use to make our blankets are all 100% BPA free and hypo-allergenic. 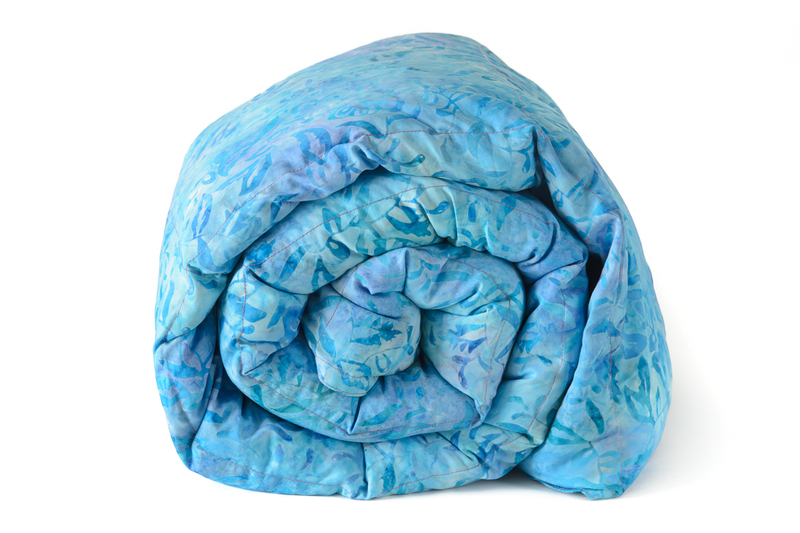 We also add a small amount of polyfil in each quilted pocket, which helps provide support for an evenly weighted solution. 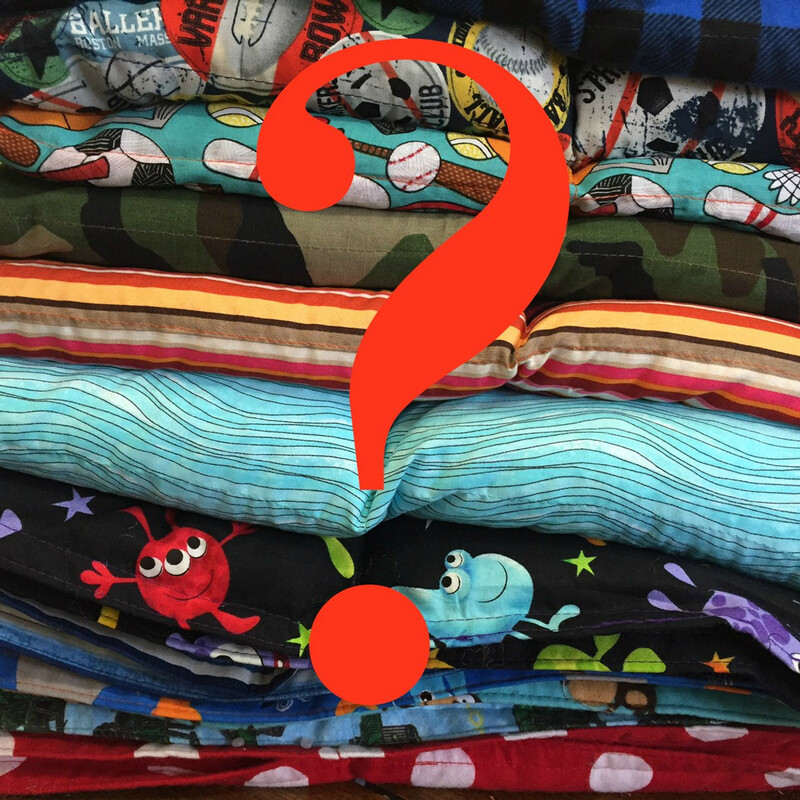 Our weighted blankets are machine washable. 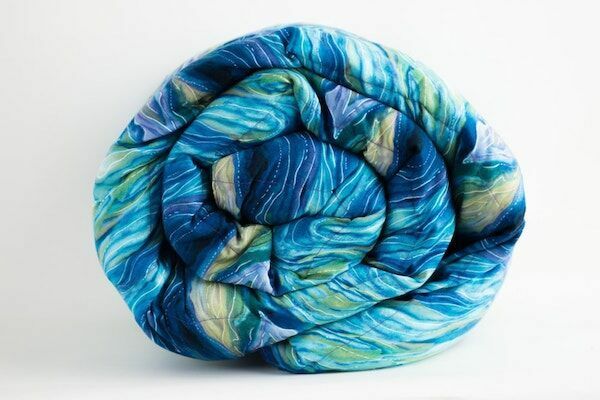 Hand wash or machine wash and lay flat to dry. 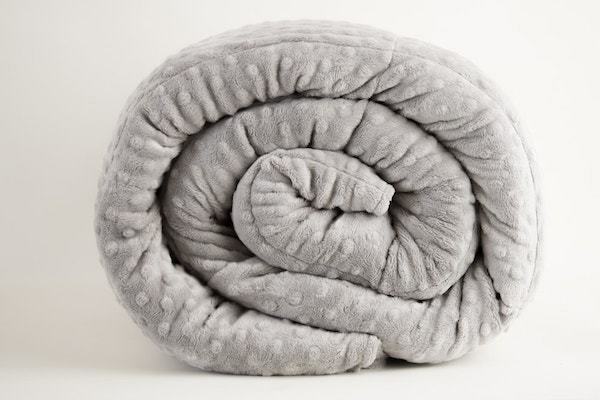 For more info on caring for your blanket, please see our blanket care page.